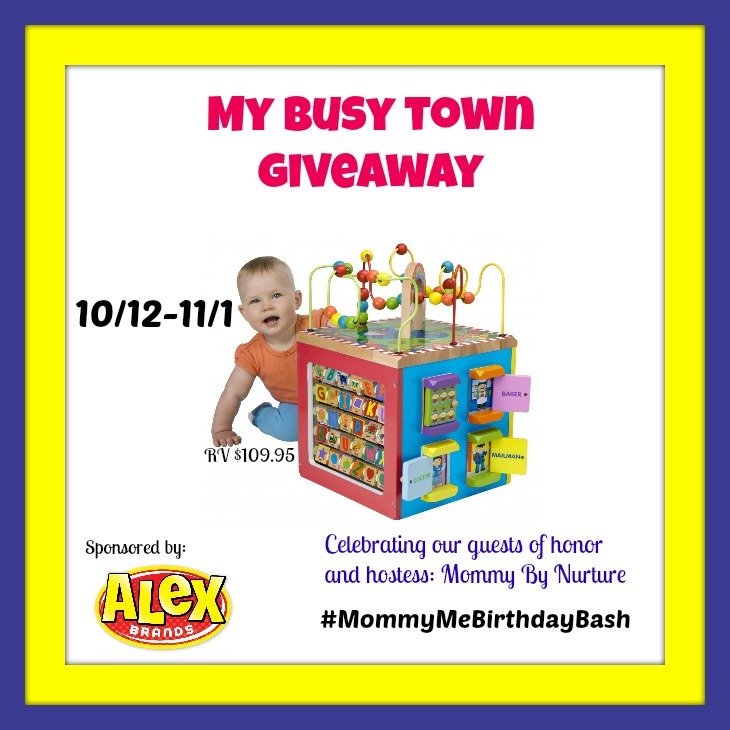 One winner is going to receive the My Busy Town wooden toy from Alex Brands. One lucky kid will have years of fun and sensory exploration. You can see a full review from Mommy By Nurture here.